The Aplastic Anemia and MDS International Foundation (AAMDSIF) created and maintains this Web site as a service to those dealing with aplastic anemia, myelodysplastic syndromes (MDS), and paroxysmal nocturnal hemoglobinuria (PNH). The information on this Web site is for informational purposes only. Some of the information on this site discusses medical issues; however, it is not intended as medical advice and should not be construed as such. Inclusion of information on the AAMDSIF Web site does not constitute an endorsement or recommendation by the AAMDSIF of any medical care provider, treatment practice, medication, product, or manufacturer. While the AAMDSIF strives to keep information at this website current, the AAMDSIF makes no warranty or guarantee concerning accuracy of the content. The AAMDSIF encourages patients to seek medical advice from a qualified hematologist and to discuss these materials along with their individual questions and concerns with their doctor. The above disclaimers are not exhaustive and should be read in conjunction with the specific provisions provided below. The information presented is not to be considered medical advice and is not intended to take the place of professional medical care. This Web site does not constitute an attempt to practice medicine. Use of the Web site does not establish a doctor-patient relationship. Individuals should consult a qualified health care provider for medical advice and answers to personal health questions. This Web site is provided on an "as is," "as available" basis without warranties of any kind, express or implied, including, but not limited to, those of TITLE, MERCHANTABILITY, FITNESS FOR A PARTICULAR PURPOSE or NON-INFRINGEMENT or any warranty as to accuracy, timeliness, completeness or arising from a course of dealing, usage or trade practice. No oral advice or written information provided by the AAMDSIF or its employees shall create a warranty; nor shall members or visitors to the website rely on any such information or advice. Reference to any products, services, and hypertext link to the third parties or other information by trade name, trademark, and supplier or otherwise does not constitute or imply its endorsement, sponsorship or recommendation by the AAMDSIF or its employees. Such reference is for convenience only. The user assumes all responsibility and risk for the use of this Web site. Under no circumstances shall the AAMDSIF, its employees, or anyone else involved in creating or maintaining this Web site be liable for any DIRECT, INDIRECT, INCIDENTAL, SPECIAL or CONSEQUENTIAL DAMAGES, or LOST PROFITS resulting directly or indirectly from the use or inability to use the website and/or any other Web sites which are linked to this Web site – or resulting directly or indirectly from mistakes, omissions, interruptions, deletion of files, viruses, errors, defects, or any failure of performance, communications failure, theft, destruction or unauthorized access. In states not allowing some or all of the above limitations of liability, liability shall be limited to the greatest extent allowed by law. This Web site contains links to other Web sites. Please be aware the AAMDSIF is not responsible for the accuracy of information found on other Web sites and makes no representations regarding the content of these links. Links to external Web sites are not intended to imply an endorsement of the content of these sites by the AAMDSIF. The AAMDSIF encourages users of its Web site to critically evaluate information found on the Internet and to verify information by using many sources. Please consult your doctor on all major medical and health decisions. The AAMDSIF welcomes links to our site. Other organizations and individuals may freely link to the AAMDSIF Web site, provided that such links are not defamatory or otherwise harmful to the AAMDSIF. The AAMDSIF requests that any outside organization or individual providing a link to the AAMDSIF Web site inform the AAMDSIF of the link by sending an e-mail to info@aamds.org. Requests for reciprocal links are reviewed on a case-by-case basis. The AAMDSIF reserves the right to request the removal of a link to the AAMDSIF Web site, or to take appropriate legal action, in the event that a link is defamatory or otherwise harmful to the AAMDSIF. Visitors agree to use the Web site for lawful purposes and are prohibited from posting on the website any unlawful, harmful, threatening, abusive, harassing, defamatory or obscene material of any kind, including, but not limited to, any material which encourages conduct that would constitute a criminal offense, give rise to civil liability or otherwise violate any applicable local, state, national or international law. This applies to any posting that could be termed as Sexual Harassment and/or Discrimination. All information and pages are Copyright © 2011 Aplastic Anemia and MDS International Foundation, 4330 East West Highway, Suite 230, Bethesda, Maryland 20814. All rights reserved. Contact the AAMDSIF for permission to reprint any portion of this site or materials displayed on this site for purposes other than personal, non-commercial use. If you make a donation, either online or otherwise we will request certain personal information about you (name, address, telephone number, e-mail address and credit card information). We use this information to process your donation and to communicate with you. In addition, we may store and use such information for AAMDSIF marketing and awareness efforts, keep you updated about our work, analyze usage of the Website, and improve our Website’s content, layout, and education programs. We do not share, sell, rent, or exchange our mailing lists to other organizations that solicit donations or sell any products. We do not send donor mailings on behalf of other organizations. If we were to change our policy, we will notify you and give you the opportunity to opt out of our mailing list or otherwise indicate your mailing preferences. When you receive communications from us it is because we believe you may be interested in the programs and services of AAMDSIF. If you prefer not to receive email messages or other communications from us, please reply to the email message with “remove” in the subject line or write to us requesting that we remove your name from our mailing list. We will do so. This policy is applicable to both online and offline donors. The AAMDSIF uses encryption technology to protect your information and this information is always kept strictly confidential. 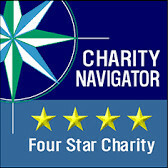 If you have shared with us your credit card information to make a purchase or a donation, or other personal and/or medical information through the Volunteer Network, Patient Registry or Conference Registration forms, your information is stored on a secure server via SSL and is protected by firewalls. All personal information is stored on a secure server via SSL and is protected by firewalls. Only a limited number of the AAMDSIF staff has access to secure confidential data. Users may opt out of any use of personal information by calling the AAMDSIF at (800) 747-2820. We hold our employees accountable for our privacy principles and each employee is personally responsible for maintaining customer confidence. The AAMDSIF will not share with third parties any personal information without your consent. We do not sell or rent your personal information. The AAMDSIF reserves the right to disclose or access account information when it has a good-faith belief that such disclosure is necessary for compliance with any law. We will not deliver targeted advertisements from others to you. We provide no mechanism for an advertiser to reach you, unless you sign up directly with an advertiser or outside vendor. The AAMDSIF may disclose information to law enforcement and other authorities in the rare case when there is reason to believe that disclosure is necessary to identify, contact or bring legal action against someone who may be causing injury to or interference with (either intentionally or unintentionally) the AAMDSIF's rights or property, other users or anyone else that could be harmed by such activities. If you have any additional questions about your privacy on the AAMDSIF Web site, or if you believe that your privacy may have been violated by the AAMDSIF, please contact the Board of Directors at board@aamds.org or (800) 747-2820. The AAMDSIF seeks to maintain accurate information regarding users. Although this information is not available online for review, concerned users may contact the AAMDSIF at info@aamds.org or (800) 747-2820. We welcome your thoughts, which you may send to webmaster@aamds.org. Originally published on Thu, 03/17/2011 - 2:38pm. Last updated on Fri, 06/01/2018 - 1:34pm.